The court granted defendants' motion for summary judgment of invalidity of two of plaintiff's data compression patents for indefiniteness and lack of written description because the claims were in conflict with the process described in the specification. "The terms 'content dependent data decompression' and 'content independent data decompression' are undefined and meaningless. . . . While content dependency and independency have a great deal to do with the compression claims in the inventions, they lose all meaning once the encoding process has occurred and the descriptor is appended. All that matters from that point forward is that the encoder was used -- not the method for its selection (i.e., not the content on which the encoder selection was based). Simply put, decompression has everything to do with the algorithm used at the front-end compression and nothing to do with the content on which the selection of that algorithm was based. That presents a mind-twisting conundrum regarding the meaning of the terms at issue -- i.e., a conundrum that 35 U.S.C. § 112 was designed to prevent." Realtime Data, LLC d/b/a IXO v. Morgan Stanley, et. al., 1-11-cv-06696 (NYSD June 27, 2012, Order) (Forrest, J.). On remand, the court granted plaintiff's motion for a preliminary injunction precluding infringement of its design patent by defendants' Galaxy Tab 10.1 tablet computer. The court previously denied a preliminary injunction in part because defendant raised a substantial question of validity. On appeal, however, the Federal Circuit reversed the court's finding as to invalidity and remanded for consideration of the balance of hardships and public interest factors. On remand, the court found the balance of harms and public interest weighed in favor of an injunction. With respect to the balance of harms, the court explained: "[A]lthough [defendant] will necessarily be harmed by being forced to withdraw its product from the market before the merits can be determined after a full trial, the harm faced by [plaintiff] absent an injunction on the Galaxy Tab 10.1 is greater. [Plaintiff's] interest in enforcing its patent rights is particularly strong because it has presented a strong case on the merits. This Court previously found the Galaxy Tab 10.1 to be substantially similar 'in the eyes of the ordinary observer' to the [design patent-in-suit]. Indeed, the Court noted that the Galaxy Tab 10.1 is 'virtually indistinguishable' from [plaintiff's] iPad and iPad 2. . . . [Defendant's] concern over the losses suffered as a result of an injunction cannot overcome [plaintiff's] showing. This is particularly true in light of the fact that (1) there was some evidence that [defendant] altered its design to make its product look more like [plaintiff's], and (2) [plaintiff] will be required to post a bond in the event that this injunction was wrongly issued." Apple Inc. v. Samsung Electronics Co. Ltd., et. al., 5-11-cv-01846 (CAND June 26, 2012, Order) (Koh, J.). Following an evidentiary hearing, the ALJ determined that one of complainant's polyimide film patents was not unenforceable for inequitable conduct where the withheld reference was not material. "[T]he brief description of [the Japanese prior art reference] in the specification was not a sufficient disclosure to the PTO. . . . [Complainant] did not provide a full copy of the reference, or any sort of translation of the reference, to the PTO. . . . Still, I do not find that [the reference] is material under the 'but-for' materiality standard. . . . Even though the examiner has issued an initial rejection of claim 1 in the reexamination based on the combination of [the Japanese reference and another], I do not find that this is conclusive evidence of materiality. This was only an initial rejection, and is in no way a final determination from the PTO. There is still a possibility that claim 1, as currently written, will be allowed over the combination of [the references]. Therefore, the initial rejection in reexamination is not sufficient evidence to demonstrate that the PTO would not have allowed the claims had it been aware of [the Japanese reference]." Polyimide Films, Products Containing Same, and Related Methods, 337-TA-772 (ITC June 11, 2012, Order) (Rogers, ALJ). Following the court's rulings in limine excluding the testimony of the parties' various damages experts and orders granting summary judgment as to the parties' claims for damages, the court also denied the parties' motions for injunctive relief. "The grant of an injunction is not an automatic or even a presumptive consequence of a finding of liability, either generally or in a patent case—in fact the Supreme Court has held that the standard for deciding whether to grant such relief in patent cases is the normal equity standard. eBay Inc. v. MercExchange, L.L.C., supra, 547 U.S. at 391–92; see also Ecolab, Inc. v. FMC Corp., 569 F.3d 1335, 1351–52 (Fed. Cir. 2009). And that means, with immaterial exceptions, that the alternative of monetary relief must be inadequate. . . . [Here] neither party is entitled to an injunction. Neither has shown that damages would not be an adequate remedy. True, neither has presented sufficient evidence of damages to withstand summary judgment—but that is not because damages are impossible to calculate with reasonable certainty and are therefore an inadequate remedy; it’s because the parties have failed to present enough evidence to create a triable issue. They had an adequate legal remedy but failed to make a prima facie case of how much money, by way of such remedy, they are entitled to. That was a simple failure of proof." Apple, Inc. v. Motorola, Inc., et. al., 1-11-cv-08540 (ILND June 22, 2012, Order) (Posner, C.J.). The court instructed the parties in 12 cases filed by the same plaintiff to be prepared to discuss at the Scheduling Conference (and to address in their Joint Case Management Statements) possible consolidation and other tools to alleviate the "administrative difficulties" caused by the new joinder provisions of the Leahy-Smith America Invents Act (to be codified at 35 U.S.C. § 299). "[I]n light of the new joinder provision . . . the Court has experienced an increase in 'serially' filed cases, i.e., separate cases involving the same patent(s) filed near in time naming different individual defendants. Such cases present administrative difficulties for the Court, and the above-captioned case(s) is such a case. As the Court considers how to most efficiently handle these cases, the parties should be prepared to provide input at the combined scheduling conference regarding, at a minimum, the following issues: (1) other than common patents, what factors (and facts) can create common issues regarding infringement, both generally and specifically to the above-captioned cases; (2) is consolidation for pretrial under Federal Rule of Civil Procedure 42 a viable and efficient means of alleviating the administrative difficulties of serially filed cases on the Court while still serving the interests of the parties; (3) if the Court consolidates such cases for pretrial, how should the individual trials be structured, e.g., validity trial with all defendants, followed by separate infringement trials; (4) what effect, if any, do pending 1404(a) motions for transfer have, and when and how should they be determined; (5) absent consolidation, what other tools can the Court and/or parties use to promote judicial efficiency and alleviate the administrative difficulties on the Court; and (6) whether these cases should proceed with the combined claim construction hearing already scheduled . . . or at a later date." TQP Development, LLC v. Priceline.com, Inc., 2-12-cv-00054 (TXED June 21, 2012, Order) (Craven, M.J.). Following a bench trial, the court found that defendants did not infringe plaintiff's intraluminal stent graft patent under 35 U.S.C. § 271(g) because a nonparty foreign subsidiary of a defendant -- and not one of the named defendants -- imported the accused product. "[The nonparty subsidiary] appears to be a subsidiary of [a named defendant]. However, the exact structure of the company and control of divisions is something that was not argued by either party. . . . Since the evidence before the Court makes clear that [the nonparty foreign subsidiary] is the actual importer in this case, the question is whether one of the named defendants can be found to be vicariously or jointly liable because they 'controlled' or owned [the foreign subsidiary]. . . . [The evidence] support[s] the conclusion that [a named defendant] ‘controlled and directed’ [the foreign nonparty subsidiary] subassembly manufacturing of the [accused product]. However . . . it is not the manufacturer but the importer who is liable under [35 U.S.C. § 271(g)]. Thus, if the Court is to apply joint infringement or vicarious liability to Section 271(g) infringement, it appears it must also find evidence that [the named defendant] or one of the other named defendants, directed or controlled the actual importing activity of [the nonparty foreign subsidiary]. . . . The Court finds that the evidence submitted at trial is simply insufficient to support such a conclusion. [The nonparty foreign subsidiary] is the entity listed on all shipping contracts admitted during trial. If the Court were to draw a contrary conclusion and find that one of the named defendants 'directed or controlled' this importing/shipping activity, it would be a mere assumption." W.L. Gore & Associates, Inc. v. Medtronic, Inc., et. al., 2-10-cv-00441 (VAED June 18, 2012, Order) (Davis, J.). The court granted plaintiff's motion to dismiss defendant's inequitable conduct claims for failure to state a claim because the allegations concerning the identity of the person allegedly making false statements were too vague. "[Defendant's] allegations that [a certain individual] was [plaintiff's] 'officer or employee' and that he 'knew or should have known' of the prior sales and prior art fall short of concretely alleging that he actually knew of the invalidating information. These scant allegations are further diluted by the qualifiers that either [he], or 'one or more' of the other inventors, knew about the prior sales and art and their materiality. . . . Dropping [one individual's] name in the scrum of '[plaintiff's] personnel including at least [that individual] or one or more of the other individuals listed as an inventor' fails to meet the pleading standard for 'who' deceived the PTO." XpertUniverse Inc. v. Cisco Systems Inc., 1-09-cv-00157 (DED June 19, 2012, Order) (Andrews, J.). The court imposed sanctions for defendant's failure to substantially participate in a pre-claim construction settlement conference based on hourly rates of $375-$400. "The court will not award attorneys fees and costs incurred for the time spent preparing the confidential settlement memorandum or other preparation involving the client prior to the settlement conference. The court will, however, award attorneys fees for the time spent during the settlement conference, follow-up communications necessitated by [defendant's] failure to have an authorized representative present at the settlement conference, and preparation and time spent for the . . . follow-up status conference." Aevoe Corp. v. Shenzhen Membrane Precise Electron Ltd., 2-12-cv-00054 (NVD June 15, 2012, Order) (Leen, M.J.). Following a bench trial, the court rejected plaintiffs' motion for a provision in a permanent injunction requiring defendants to provide a new design-around product to plaintiffs' counsel for testing before introducing the product in the U.S. "[N]othing in the record demonstrates that this is an exceptional case which warrants extensive injunctive relief. In fact, the injunction orders are yet to be entered, and no evidence indicates that the Defendants will violate any proposed provisions." MeadWestvaco Corporation, et. al. v. Rexam PLC, et. al., 1-10-cv-00511 (VAED June 12, 2012, Order) (Lee, J.). The ITC rejected a non-party's request to be carved out from a general exclusion order regarding complainant's GFCI patent. "[The non-party] has not presented a compelling reason to make such an exception. Moreover, [it] apparently knew about the present investigation as early as the institution phase, but chose not to intervene to protect its interests. Any burden imposed on [it] by remedial orders could have been avoided if [it] had participated in the present investigation and had presented meritorious defenses." Ground Fault Circuit Interrupters and Products Containing Same, 337-TA-739 (ITC June 8, 2012, Order) (International Trade Commission). The court rejected defendants' proposed protective order provision regarding transmission of protected information outside the U.S. "Defendants take issue with Plaintiff’s plan to outsource litigation services to overseas vendors. In support of a complete bar on overseas transmission, Defendants point to a situation in an unrelated case before Judge Everingham in this District where a security breach occurred at an overseas third party vendor potentially causing sensitive information to be leaked despite the existence of a protective order. . . . Although the Court is mindful of Defendants’ concerns regarding the disclosure of confidential or highly confidential information, it is not persuaded that one unfortunate incident that occurred in an unrelated case amounts to a 'clearly defined and serious harm' such that all transmission of confidential material outside of the United States should be forbidden." EON Corp. IP Holdings, LLC v. Landis+Gyr Inc., et. al., 6-11-cv-00317 (TXED June 12, 2012, Order) (Love, M.J.). The court denied defendants' motion to amend their counterclaims to include an inequitable conduct claim based on plaintiff's alleged failure to disclose the findings of a non-binding arbitration panel. "[Defendant] argues that, during the [patent-in-suit] reexamination, [plaintiff] engaged in . . . misconduct, by taking positions before the PTO that conflicted with arbitration materials in [plaintiff's] possession, and by failing to disclose certain information, such as the fact that arbitration panels had rejected its contentions. . . . The information that [plaintiff] failed to disclose to the PTO was nothing more than the opinions of third parties, which had no legal or binding effect. We find no basis to conclude that [plaintiff] was obligated to disclose to the PTO the fact that these third parties disagreed with the arguments that [plaintiff] advocated before the PTO. . . . Nor do we agree with [defendants'] assertion that, just as failure to disclose ongoing related litigation is inequitable conduct, so too must [plaintiff's] failure to disclose the arbitration be inequitable conduct. Non-binding arbitration is distinguishable from litigation, on the basis that it lacks binding legal effect." Kimberly-Clark Worldwide Inc. v. First Quality Products Inc., et. al., 1-09-cv-01685 (PAMD June 11, 2012, Order) (Caldwell, J.). The ALJ granted in part complainants' motion to compel respondents to produce a revised privilege log where documents had been redacted for relevance and confidentiality. "[T]he [ALJ] finds that this practice conflicts with Commission Rule 210.30, which requires that parties produce documents as they are kept in the usual course of business. Redacting material from documents deprives the receiving party from viewing the responsive material in its proper context and creates the question of whether responsive material was removed. Furthermore, the Protective Order is in place to protect the confidential information in responsive, non-privileged documents, and thus Complainants’ argument that it redacted confidential material to protect third parties is unpersuasive." Dynamic Random Access Memory & NAND Flash Memory Devices & Products Containing Same, 337-TA-803 (ITC June 4, 2012, Order) (Gildea, ALJ). Case Should not be Streamlined by "Assigning an Arbitrary Limit on the Number of Asserted Claims"
The court denied defendants' motion to limit the number of claims and patents asserted by plaintiff. 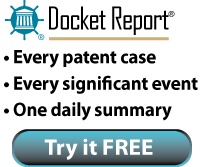 "Initially, [plaintiff] asserted infringement of 361 claims from 16 patents. The parties reached an agreement whereby [plaintiff] reduced its asserted claims to 90 claims from 14 patents. At present, there are 56 claim terms in dispute. Defendants contend that this is an unmanageable number of claims and claim terms, and that the Court should limit the number of claims and claim terms that may be asserted by [plaintiff], that a day-long Markman hearing is necessary, and that additional pages of claim construction briefing should be permitted. The Court agrees that this case will need to be streamlined prior to trial, but assigning an arbitrary limit on the number of asserted claims or deciding which claims are duplicative is not the way to get there at this stage of the case. Instead, the parties should brief the claim terms that are the most likely to lead to a narrowing of the case once the terms are construed. The claim construction hearing will last no longer than three hours, and the ordinary page limits for briefing will apply." Microunity Systems Engineering Inc v. Acer Inc et al, 2-10-cv-00091 (TXED June 7, 2012, Order) (Payne, M.J.). The ALJ denied respondents' motion to amend their notice of prior art to add 14 references for lack of diligence. "ITC investigations are fast paced, and the [ALJ] requires that the parties solidify their positions early. . . . The [ALJ's] precedent makes clear that although prejudice may be a factor, this inquiry primarily turns on the party's reasons for supplementation, namely, the party's diligence. . . . Respondents argue here that the proposed prior art references are obscure, yet provide no specific facts with respect to the individual references to explain how that is the case. . . . At best, Respondents seem to argue that the score of references they wish to add were hidden in plain sight." Dynamic Random Access Memory & NAND Flash Memory Devices & Products Containing Same, 337-TA-803 (ITC June 5, 2012, Order) (Gildea, ALJ). The ALJ denied respondents' motion to disqualify complainants' counsel even though counsel had represented respondents for nearly 18 years, including at least four ITC investigations. "[Respondent] offers only conclusory assertions that the technology involved in those previous Investigations is substantially related to the technology at issue in the present Investigation. . . . In contrast, [complainant] has provided a detailed analysis of those previous Investigations that raises serious doubts about the conclusion asserted by [respondent]. . . . This finding is further supported by the substantial amount of time that has elapsed between [counsel's] previous representation of [respondents] at the ITC and this Investigation. . . . The [ALJ] finds that any potential prejudice caused by [counsel's] previous representation of [respondents] will be mitigated by the ethical screen implemented." Dynamic Random Access Memory and NAND Flash Memory Devices and Products Containing Same, 337-TA-803 (ITC June 5, 2012, Order) (Gildea, ALJ). Production of Source Code Limited to "Infringing Functions"
The court denied in part plaintiff’s motion to compel defendant to produce a complete copy of the source code included in each of its accused products, because plaintiff did not demonstrate need of such a broad production. However, the court granted plaintiff’s motion to compel the production of source code related to the allegedly infringing functions of defendant’s accused products. "[Plaintiff] has not demonstrated the necessity of ‘fully understand[ing] the operation of [defendant’s] products’ as opposed to understanding the portion [of defendant’s source code] that is covered by its infringement claims. Given the sensitivity of source code, the court is not inclined to order broad disclosure absent a more specific showing." Nazomi Communications Inc v. Samsung Telecommunications Inc et al, 5-10-cv-05545 (CAND June 1, 2012, Order) (Whyte, J.). The court granted defendants' motion in limine to preclude evidence of ITC investigations to which defendants were not parties. "[Defendant's] motion to preclude reference to prior ITC litigations involving [two patents-in-suit] (and to which [defendant] was not a party) is granted. The ITC's determinations are irrelevant and likely to prejudice the jury." Apple, Inc. v. Motorola, Inc., et. al., 1-11-cv-08540 (ILND May 31, 2012, Order) (Posner, C.J.). Following a jury verdict of noninfringement, the court found that defendant's implied license defense was not supported by the evidence. "An implied license requires a finding of an affirmative grant of consent or permission. Though rare, consent can be inferred from a course of conduct between parties. . . . [Defendant's] equitable defenses rest primarily on a . . . blog post by [plaintiff's] CEO congratulating [defendant] on the release of Android, as well as similar positive statements by [plaintiff's] executives thereafter. Congratulatory statements do not fall under the narrow circumstances proscribed by our court of appeals. Even if [defendant] understood [plaintiffs'] conduct to condone use of the [patented technology] packages, the 'course of conduct' must be assessed for an affirmative grant of such consent. None is apparent from the evidence [defendant] presented here. . . . Furthermore, from the present record it would be impossible to determine the scope of any implied license. Under [defendant's] theory, infringement is excused as to any aspect of Android because the whole of the platform was generally applauded by [plaintiff]. Such a finding is not supported by precedent. The parties negotiated for a real license but the talks collapsed and no license was given. It would be most bizarre to somehow find an implied license in this scenario." Oracle America, Inc. v. Google Inc., 3-10-cv-03561 (CAND May 31, 2012, Order) (Alsup, J.). The court denied the parties' motion to reopen judgment and vacate its prior summary judgment rulings of infringement following the parties' settlement. "It is not my practice to withdraw opinions on request of counsel. Not only is it impractical to do so in an electronic world, but it suggests that the opinion is the property of the parties, which it is not. Because the parties have failed to explain why the judgment should be vacated or the summary judgment opinion should be withdrawn, I am denying the motion." EMD Crop Bioscience Inc. v. Becker Underwood, Inc., 3-10-cv-00283 (WIWD May 30, 2012, Order) (Crabb, J. ).